Henry and Andrea Thalen purchased Vold Jones and Vold Auction in August 2014 from the Vold family. Henry was born in Chilliwack, BC where he grew up on a dairy farm. When Henry was 11, his family moved to Ponoka where they continued to dairy farm east of town (Morsan Farms). Henry was actively involved in the family farm and after completing high school he managed many of the farm operations. In 2004 Henry married the love of his life, Andrea who was born and raised in Ponoka on a grain farm west of town. Faith and family have always been very important throughout both Henry and Andrea’s lives and since their marriage they have celebrated the births of their five children: Damien (2005), Kaleb (2007), Cohen (2009), Trevor (2012), and Taya (2014). 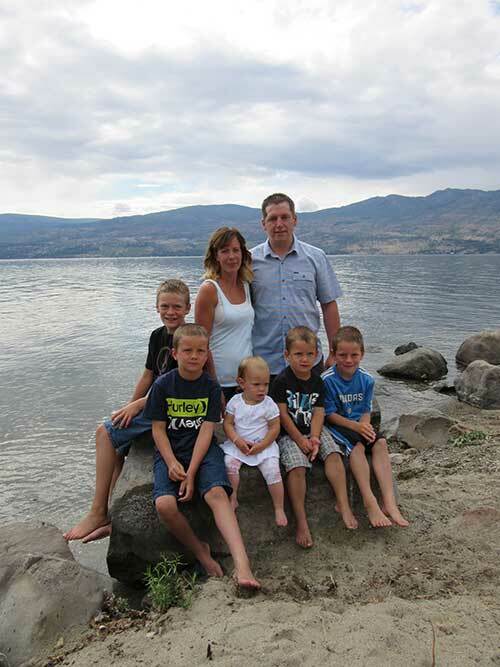 Henry and Andrea with their five children now reside on a property west of Ponoka. The boys love to help out Henry at the market and will continue to be a part of the business as they grow up. The Thalen family plans to continue growing a great business the Vold family has built.